Throughout his childhood, Christopher Wilson had only one letter from his birthmother Neomi. The letter was heartfelt and honest, and in it, she expressed her mixed feelings, her fear that she would never see him again, and her contentment and gratefulness to know that he is safe. Neomi had hoped to receive regular updates about Christopher’s life, but shortly after his adoption, the agency that facilitated his adoption and that was to facilitate the ongoing contact was forced to close. Christopher and his birthmother were lost to each other. In 2010, Christopher’s family worked to track down his birthmother, and two years later, he moved in with her for a season. There, he learned some of her history, some about his birthfather Lionel, and the way in which he came to be adopted. Christopher then decided to seek for Lionel. Although he has found some of his relatives, Lionel hasn’t been heard from in over a decade. Christopher hires a private investigator and sets out, camera in hand, to find Lionel. Christopher was adopted as an infant. His adoption was intended to be semi-opened, with contact being facilitated by an agency; however, the agency closed unexpectedly. Christopher appears to have a positive and supportive relationship with his adoptive family, and they support – and even assist – him in his quest to find his birthparents. A lot of love is portrayed in this film. Christopher’s love for all of his parents is persistent. His adoptive parents support him in his attempts to find his birthparents, and his adoptive father speaks glowingly of Christopher, telling him how very proud he is. Christopher’s birthmother is able to express her love for Christopher as well, even though she acknowledges that she “wouldn’t recommend” adoption to other mothers. Christopher is able to hearing and accept positive and negative information about his father. Like Angela in Closure, Christopher set out looking for one relative, but found a whole family, and a considerable amount of information. He acknowledges that, although he is hoping to learn about his father, he is also hoping to learn about himself. For much of his search, Christopher is accompanied by a good, supportive friend. Searching with the help of friend or family is less daunting than doing it alone and unsupported. Because Christopher is both the subject and the director of the film, we are able to have direct insight into his thoughts at certain points. One of Christopher’s relatives is kind, but continually expresses doubt that Christopher is actually a relative. 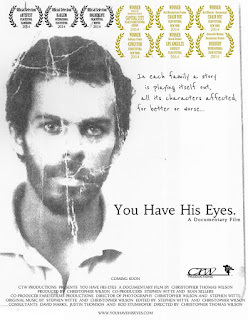 Christopher dedicates the film to his father, and then specifies that he means his adoptive father. It’s a touching reaffirmation of the value of his adoptive father in his life, but some viewers might misinterpret it as a slight against his birthfather. 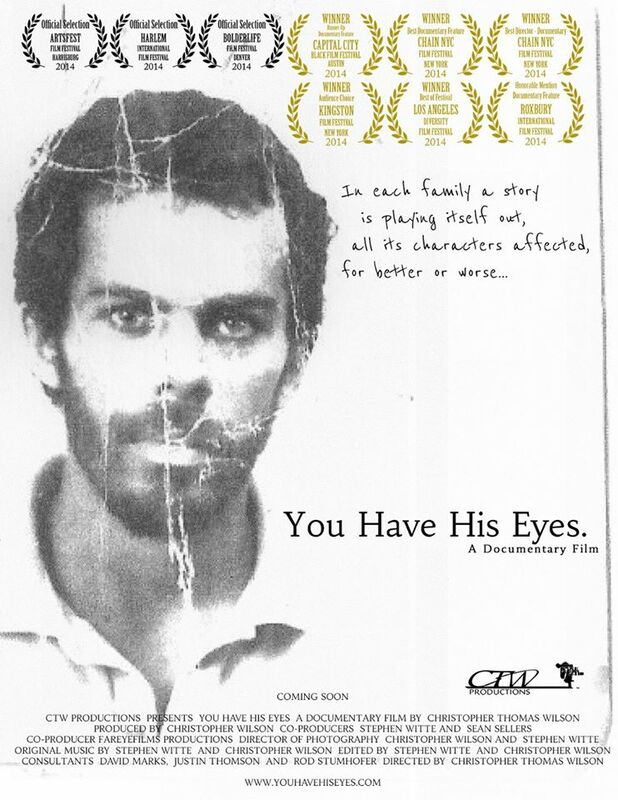 You Have His Eyes is an interesting, engaging documentary that allows us to tag along with Christopher on an international journey of self-discovery. It will largely appeal to the same audiences as Closure, and is probably best suited to audiences ages 14 and up. Christopher’s first-person journey to reconnect with his birthparents mirrors similar voyages documented in Closure and in In The Matter of Cha Jung Hee. When Christopher meets his relatives, he must process the gap between his expectations and what he actually finds; a similar experience is portrayed in Antwone Fisher. When Christopher’s adoptive parents agreed to a semi-open adoption facilitated by their agency, they didn’t anticipate that the relationships would become functionally closed as a result of the agency going out of business. How can adoptive families protect themselves against their eventuality? Putting yourself in Christopher’s position, how do you imagine you would feel upon meeting each relative? Christopher pursues a relationship with his birthfather even though the odds of finding him are very slim. What made him try to find Lionel, in spite of the odds? Some of the information Christopher discovered was hard to process. Would it be better to know everything, including the hard stuff, or would it be better to have everything remain a mystery, and why?